The Sierra Club is not happy. In particular, the Northern Alameda County Group of the Sierra Club seems quite angry. Political candidates are usurping its good name and in return weakening its political power. 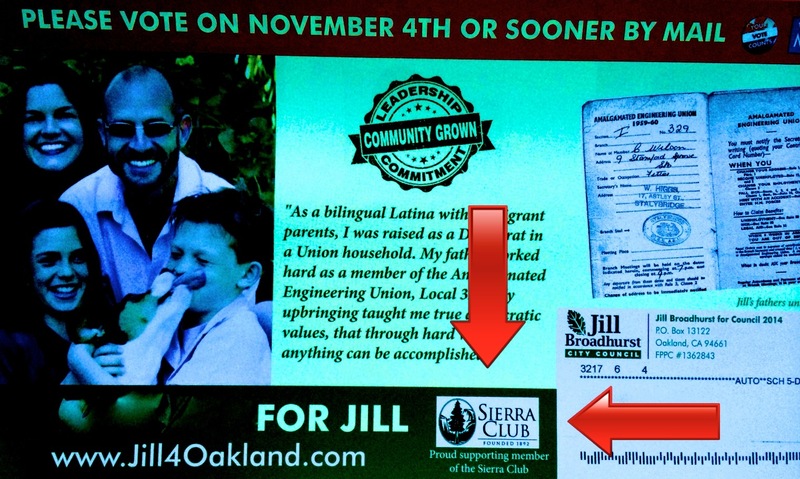 It started with Oakland City Council District 4 candidate Jill Broadhurst. Broadhurst, the Executive Director of the East Bay Rental Housing Association did not get the Sierra Club endorsement. Indeed, it was her opponent, Annie Campbell Washington, who got it. Campbell is a pro-environment progressive. Broadhurst is not. If you look at political candidate mailers, you will probably notice that many of them depict the logos of the organizations that have endorsed such candidate. 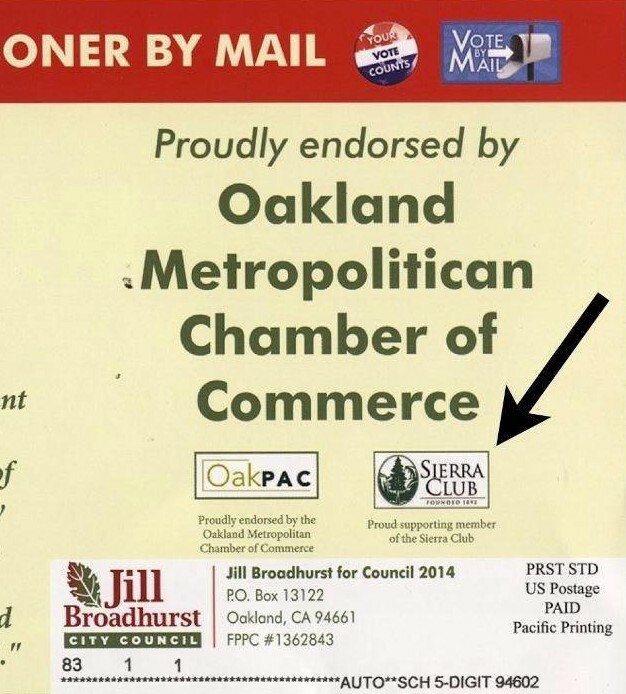 Indeed, on one of her mailers Broadhurst included the logo for the Oakland Chamber of Commerce PAC above the caption “Proudly endorsed by the Oakland Metropolitan Chamber of Commerce.” Right next to it, she placed the Sierra Club logo. 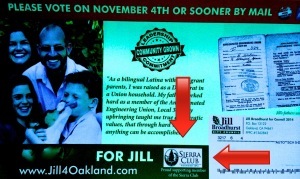 The caption, written in smaller print, reads “Proud supporting member of the Sierra Club.” Another mailer contained the phrase “For Jill” in large print next to the logo of the Sierra Club. Again, the caption saying that she is a member was written in very small print. 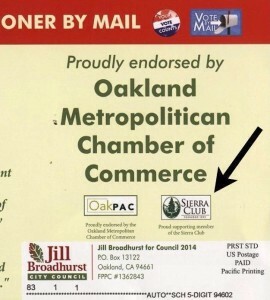 The intent is pretty clear: to suggest to voters that Broadhurst has been endorsed by the Sierra Club. The Sierra Club was not amused. It sent Broadhurst a cease and desist letter, stating that Broadhurst’s use of their logo infringed the Club’s trademark and that it falsely implied that she had been endorsed by them. It threatened to sue her. Broadhurst said she wouldn’t do it again but, of course, the damage had already been done. 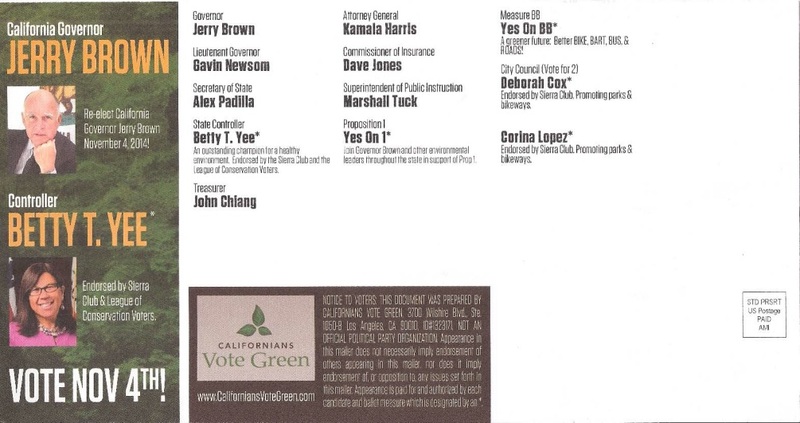 The “Californians Vote Green” mailer is a commercial enterprise not associated to any environmental organizations. However, it’s name and the fact that it lists candidates as endorsed by the Sierra Club, misleads voters into thinking it’s an actual Sierra Club endorsement list. When Cox’s false claim came to the attention of the Sierra Club, it may have been the proverbial stroke that broke the camel’s back. I don’t know if Cox got a letter from the Sierra Club admonishing her, but the Chair of the Sierra Club’s Northern Alameda County Group wrote a letter to the San Leandro Times clarifying that Pauline Cutter and Corina Lopez were the only endorsed candidates in San Leandro. The Club can hope that voters who pay attention to slate mailers, also read the local newspaper. To make sure voters did get the message that Cox was not endorsed by the Sierra Club, the Club also sent out their own mailer with its logo and the heading “OFFICIAL VOTER GUIDE,” listing the candidates it actually endorsed. This is an important matter for the Sierra Club. It wants to make sure that its name is not associated with politicians that push anti-environmental policies, as this would tarnish their own reputation with the community. But it also wants to reward with its endorsement candidates that commit to support sound environmental practice , thus encouraging more candidates to make such commitments. The Sierra Club can only hope that Broadhust’s and Cox’s actions will not encourage candidates in future races to also rip off its name. How successful Broadhurst and Cox are in the election, may very well determine how likely that is. Oaklanders, this one is for you! 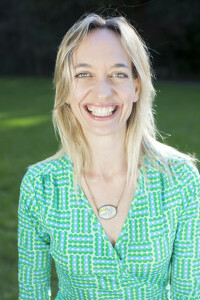 Last night I met with Annie Campbell Washington, who is running for City Council District 4 in Oakland. I came back very impressed. She’s smart, competent, a good listener, friendly and with a good sense of humor. She seems like a very candid and human person, someone without airs or that sense of either superiority or inferiority that can be so harmful for working as a group. She seems to me like someone who will listen to her constituents, who considers all voices legitimate and would be able to weigh different interests and still come up with a policy that makes sense for the public. Politically, she seems your typical Oakland progressive. Her concerns while in the council include transit oriented development, developing a better system of bike lanes, supporting small businesses and trying to bring functionality to a deeply divided council. She is also deeply committed to education and having the City support schools and working together. She’s currently in the School Board and has two children who go to Oakland schools. I don’t know that she would agree with me on everything, but I think she’s someone whose thought process I would respect. Basically, she’s the sort of person whom I wish would run for Council here in San Leandro. Her opponent is Jill Broadhurst. I haven’t met with Jill yet, but she’s the Executive Director of the East Bay Rental Housing Association, an organization that works against the rights of tenants. One of their major accomplishments is stopping legislation that would have made landlords pay interest on security deposits they hold for years/decades.